I crashed my bike this morning. I landed on my chest and skidded a few feet on the concrete. 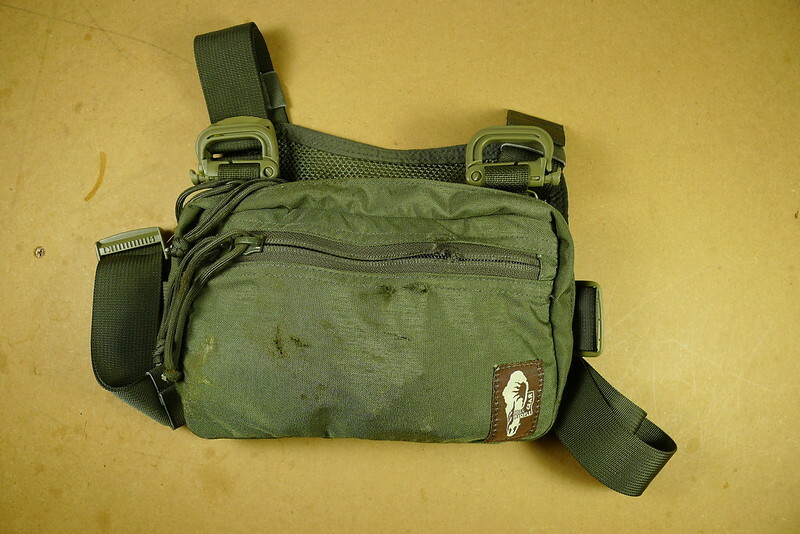 Luckily I was wearing my Hill People Gear Snubby Kit Bag. 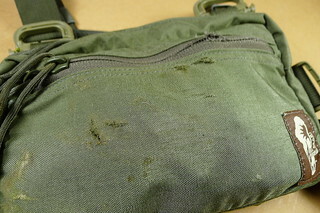 The front of the Kit Bag was torn. It saved my chest (and my nice merino shirt) from the same fate. Thanks HPG! The Defeet Wool Duragloves also handed themselves admirably. The right-hand glove is fine. 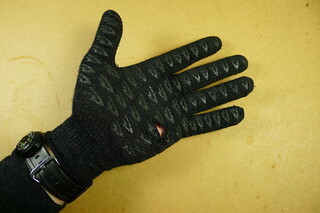 The left-hand glove has a hole in the palm. I expect this low amount of damage is due to the 40% Cordura composition. I would not expect 100% wool gloves to hold up as well. This post was published on 2013-04-09 . It was modified on 2013-04-09 . It was tagged with review, bicycle, gear.